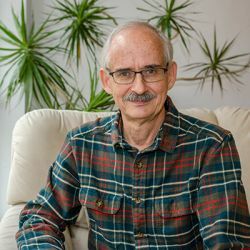 Dr. Jack Eby of the Department of Music has recently published a new monograph entitled François Giroust (1737-1799): Composer for Church, King and Commune (Olms, 2019). 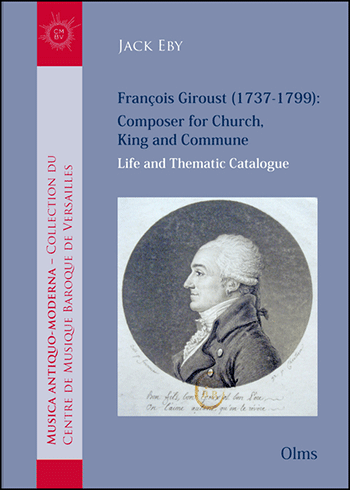 This is the first detailed biography and musical catalogue dedicated to François Giroust, Surintendant of the King’s music at the court of Louis XVI. Giroust was a major musical figure of the 18th century whose early and spectacular rise to fame earned him a position at the Royal Chappel in 1775, at the court of Louis XVI. He composed music for just about all revolutionary events in Versailles in the years leading up to the French Revolution. His motets and masses represent the finest sacred music in France at the end of the Ancien Régime. Jack Eby has been studying and researching François Giroust’s musical oeuvre and legacy for years, and this volume is the culmination of his careful and painstaking work in the archives of Versailles. He is an associate researcher with the Centre de musique baroque de Versailles.